Everyone has a role in securing their part of cyberspace. Individual actions have a collective impact and when we use the internet safely, we make it more secure for everyone. Cybersecurity focuses on protecting computers, networks, programs and data, from unintended or unauthorized access, change or destruction. Over the next few weeks, we will be providing you with valuable information to help you protect yourself and the University from increasing threats. Who manages cybersecurity at the University? 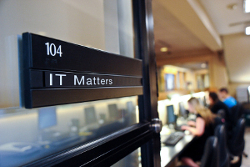 The Information Security Office serves as the University’s resource for guidance on information security compliance. The office oversees information security policies, procedures and standards that ensure the confidentiality, integrity, and availability of University data and information. 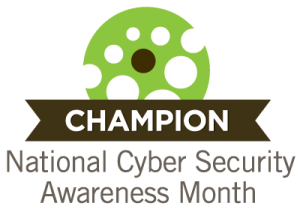 In addition to coordinating University response to security incidents and security policy violations, they take a proactive stance by promoting a safe computing environment through security awareness events and training, such as the annual SANS security awareness program, Data Privacy Day and National Cyber Security Awareness Month. What services does the provide to departments? In addition to providing technology solutions to protect the University’s information assets, they also offer security services such as consulting, auditing, contract review and policy interpretation to the campus community. How do I contact the Information Security Office? For consultation or to report a security incident, you can reach the Information Security Office at 570-941-4226 or email infosec@scranton.edu. Posted in IT News, Security and tagged IT Security. Bookmark the permalink.